The start of a new year is always exciting to me. It’s a chance to renew my motivation to improve or achieve something—like a fresh start. I usually set a few goals for myself; I refuse to call them resolutions for some reason. I will admit I’ve gotten pretty good at setting realistic, measurable goals. And I achieve them more often than not, especially now that I’ve stopped setting any kind of exercise goals. This year, when it was time to reflect on 2010 and set goals for 2011, it occurred to me that everyone in the family should be doing this. Now if I could just figure out how to convince them to do it with me. I tried the straightforward approach first. “Hey, guys, I was just reflecting on 2010, and I think it would be a great family activity if we all sit down and do this together.” That didn’t work so much, so I found a standard set of questions everyone could answer; I figured that would make the process easier. When all was said and done, I knew it was time well spent. Even better, my daughter thanked me later for doing it. She enjoyed it, especially seeing all of those 2010 accomplishments on paper. Sometimes we move so quickly, a year’s worth of events and accomplishments can become a blur. I created a template based on my family’s 2010 reflections and 2011 goal setting process. On a scale of 1 to 10, how satisfied are you with 2010? Why? What were your biggest accomplishments in 2010? What important lessons did you learn? 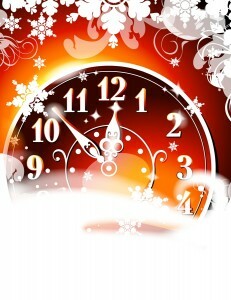 What are the most important goals you want to achieve in 2011? What new habits are necessary to achieve your goals? What are your immediate next steps to achieve your goals? Then we did a couple of fun activities, like our 2010 Top Ten and our Family Favorites. We were surprised at some of the answers to the “favorites” questions, like our favorite songs are different but all from the same band. And my 6-year old’s favorite junk food is apparently cinnamon rolls, even though I don’t think he ate a single cinnamon roll in 2010. Good to know. Optionally, you can pick a theme for 2011. We started doing that in 2009 (Year of Adventure), and it’s a fun way to unite the family toward a common goal or interest. At the end of the year, you can look back at how well you embraced the theme throughout the year and how the family benefitted from it. It could be something noble (The Year of Volunteerism) or something silly (The Year of Knock-Knock Jokes); just make sure everyone can participate in some way. With young children, help them remember some of their accomplishments. It’s OK to give them ideas and help them set goals for the next year. Just remember to take cues from them as you go; they will be more successful achieving goals that are important to them. And that’s what you want at the end of next year—success. If your family takes the time to come up with goals for 2011, make sure they remain visible somewhere. Help the kids stay focused on them throughout the year. As a parent, remove obstacles to meeting their goals whenever possible. If it becomes obvious that a goal is unattainable, show them how goal setting is a continuous process. Explain that sometimes we need to reevaluate and revise our goals. If you already do something like this with your family, leave a comment and share your thoughts or tips. If you try the template and the process above, let me know how it worked out for your family.